You can’t afford a passive protagonist. Writing advice abounds out in the blogosphere—I’ve contributed some of it myself. You can find interesting and informative posts on characters, plot, dialogue, and even commas. But here is one mistake that is literally a story-killer. You can definitely fix commas. Dialogue can be spiced up, weak verbs replaced—even the plot can be reworked and cut-and-pasted into shape. 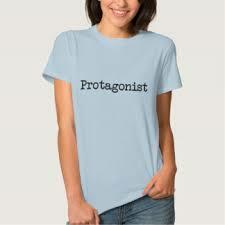 But if you have a passive protagonist, your story is doomed. It seems to be the one commonality, no matter what genre you write. If you have a character who just waits for his/her doom in the haunted house, or a fairy tale princess who does nothing but wait for Prince Charming to rescue her, or a soldier in a thriller who’s paralyzed by indecision (for too long—as a plot complication, it’s okay), you’ve denied the reader one of the main payoffs for reading. I think all of us have times that we’re overwhelmed, and we’re not really the protagonist of our own story. We have to keep that crappy job, or put up with verbally unpleasant relations and neighbors, or our ability to put food on the table might be at the mercy of the weather. I think we all want to act, to have others sit up and take notice of our actions. Good stories show characters acting. Sometimes they make mistakes, and that’s okay (who can’t relate to that?). But they must make decisions and take action based on this. And these actions must affect the plot. No, more—your protagonist’s decisions must at some point drive it. Using the three act structure, in act one the antagonist usually drives the plot. But by act two, your protagonist must take the reins of their lives in their own hands, even if all they do is make matters worse (which is quite often the case). There’s nothing quite like diving into a book where a character takes charge of their own life. I think it gives us hope that sometime, in the not-too-distant future, we may do the same. And in the meantime, we experience a little vicarious stiffening of our emotional sinews. We act along with the protagonist, putting ourselves in their place. And it feels wonderful. Or awful, when it goes wrong. But at least we’re feeling something other than trapped helplessness. So make certain your protagonists act, as hard as they can. Your readers will thank you for it. Good advice….I definitely struggle with too much internal waffling for my characters. Good advice and quite profound. Absolutely true – and the protagonist must be responsible for the resolution of the problem. Excellent article, Cathleen. Often it’s the mistaken action that makes the story so outstanding. And not just act, but demonstrate resourcefulness and grit. If all the other characters are the ones solving problems and urging their allies on, why is your protag the protag? Very true. But I also like tales where the character really grows. For me at least, that means they screw up in the beginning. And sometimes throughout, although they become progressively less cringe-worthy. Oh, yes, your protag has to make mistakes — the bigger the better! But as you say, they have to hang in there, and eventually get it together.